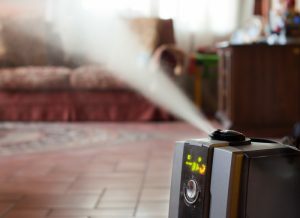 Why You Need a Humidifier for Winter | Desert Suns Heating & Cooling Inc.
Winters here in Albuquerque are known for being two things: cold and dry. After all, we’re in the desert. If you’ve ever had a bad head cold, you might have turned to a humidifier to relieve your symptoms. A whole-house humidifier works in a similar way. Our dry weather in the Southwest has a multitude of adverse effects to your health, comfort, and home so make sure you’re taking the right precautions. If you want to boost the indoor air quality of your home this winter then consider installing a whole-house humidifier in Albuquerque. Are You Suffering from Low Humidity? We’re lucky that we don’t suffer from an excess amount of humidity like our neighbors to the east, but low humidity causes so many other issues. If you have any of the problems above during the winter, it’s probably because you need to balance the levels of moisture in your home. Water vapor in the air acts as an insulant. You can think about it like the air’s winter coat—without it, everything dries out and becomes brittle. This applies to your skin, hair, nails, and home. Struggling to Heat Your Home? Low humidity actually makes it harder for you to get warm. Without the necessary amount of humidity in the air you might feel colder. The necessary amount of humidity is anywhere from 30–50%. You can crank the thermostat to a high heat and have it running all day, but this will probably lead to high heating bills sooner than it leads to your comfort. If you want to avoid high heating bills, sickness, and discomfort this winter, then look into a humidifier today. When you think of a humidifier you might think a single room system. These portable humidifiers are handy and common, but won’t make a noticeable difference to your entire home. We can install a whole-house humidifier in the air ducts near your forced-air heating system. The system uses a low amount of water based on the square footage of your home. A whole-house humidifier will keep your home warm all winter and supply extra comfort to your family. Need a great team to install your whole-house humidifier? We can help here at Desert Suns Heating & Cooling Inc. We know how hard it is to balance humidity levels in our arid conditions, so we provide the best services available. Our company was established in 1999, and throughout our time the HVAC business, we’ve built a company based on customer service, courtesy, and high-quality services at the best prices. If you’d like to increase your home comfort and avoid negative symptoms, contact Desert Suns Heating & Cooling Inc. today.